CD Review: Opera great Rose Kingsley Sings Standards On Her New CD "This Is My Life"
I am sure many of you know Rose Kingsley A/K/A "Simply Rose" as one of the world's most celebrated opera singers. Rose, a soprano, performed at the New York Metropolitan Opera for 15 years. Rose has been singing Opera throughout Europe to rave reviews for many years. She has appeared in concert with Placido Domingo, Luciano Pavarotti, Bob Hope and Frank Sinatra. After years of exploring her four octave range, Rose decided it was long overdue for her to explore her more intimate side and decided to record some of her all-time favorite standards in Jazz form. According to Rose, "My goal was to find songs that really come from my soul and that affected me emotionally. Some I had sung before, and had not. They're tunes that touched me that I felt could have the same impact on an audience. How right she was! Rose sings the 12 classic standards on this CD with intimacy and emotional understanding of the lyrics. Her phrasing is perfect and all hers. Don't expect to hear what we normally hear from female Jazz vocalists, Rose goes her own way with her unique singing style. The songs she selected for this CD generate great intimate emotion and as I was listening I became more and more under her spell. The lyrics will move you greatly as they did me. Who knew an Opera singer could also reach this level excellent of Jazz vocals. Well, Rose Kingsley knew and she is sharing her inner-self with everyone on her first Jazz vocal CD. Rose has put together the perfect trio of accomplished musicians to back her on her debut CD. 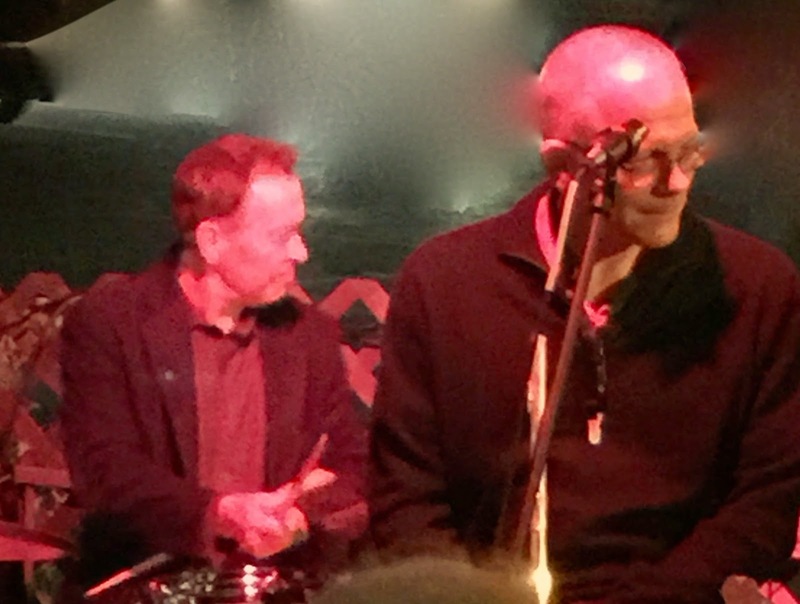 The trio is led by musical director and superb piano player, Bob Corwin. Bob is sought out by the best singers in the business and he served as Johnny Mercer's longtime accompanist for years. In addition, he has been a Musical Director for Jazz legends Carmen McRae, Anita O'Day and Peggy Lee. Desert favorite Danny Flahive is on upright Bass and Doug Dean is on Drums and Percussion. "This is My Life" from "Simply Rose" is an excellent CD that any lover of intimate ballads from the "Great American Songbook" will love. 1. "Here's To Life" 2. "Over The Rainbow"
3. "Come In From The Rain" 4. "Don't Cry Out Loud"
5. "Send In The Clowns" 6. "Can't Help Loving That Man Of Mine"
7. "Cry Me A River" 8. "The Man That Got Away"
9. "One For My Baby" 10. "In The Wee Small Hours"
11. "Where Do You Start" 12. "This Is My Life"
Everytime I go to see Pat Rizzo I think about what makes him such a great performer? Let's start with the fact that Pat is considered by the best musicians as one of the finest Sax players performing today. Even the "Voice" Frances Albert Sinatra loved the way Pat blew his horn and made Pat his mandatory Sax player whenever he was performing in California or Vegas. However, Pat Rizzo is so much more than a fantastic Sax player. Pat is the total entertainer and seems to have a magical relationship with his audiences who love him. Pat has what every musician wants, stage presence that makes him a star. 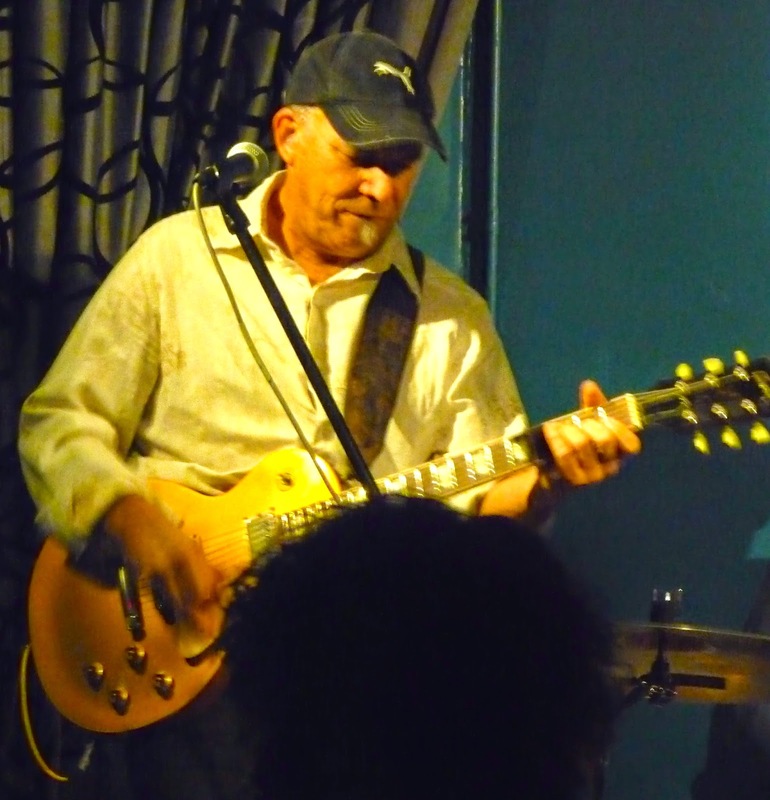 When Pat hits the stage, he tells stories about the musicians he played with, tells funny jokes and still maintains an ability to respond to his audience with sharp wit. When I first met Pat many years ago, he was playing Sax and Flute more than he was singing. For me, I thought he should be singing more because he has a very special voice. But more than Pat's voice, its Pat's understanding of lyric and phrasing that sells his vocals. I have had more than a few conversations with Pat about his phrasing and he told me that all during the many years he played with Sinatra, he was usually seated directly in back of Frank and he became a student of Sinatra's breath control and phrasing. Now when Pat sings, his breath control and phrasing would please any Sinatra fan. Do you self a favor and go over to Vickys on Saturday night to listen to Pat and his group. I guarantee a good time and some of the best sounds you have ever heard from his band. 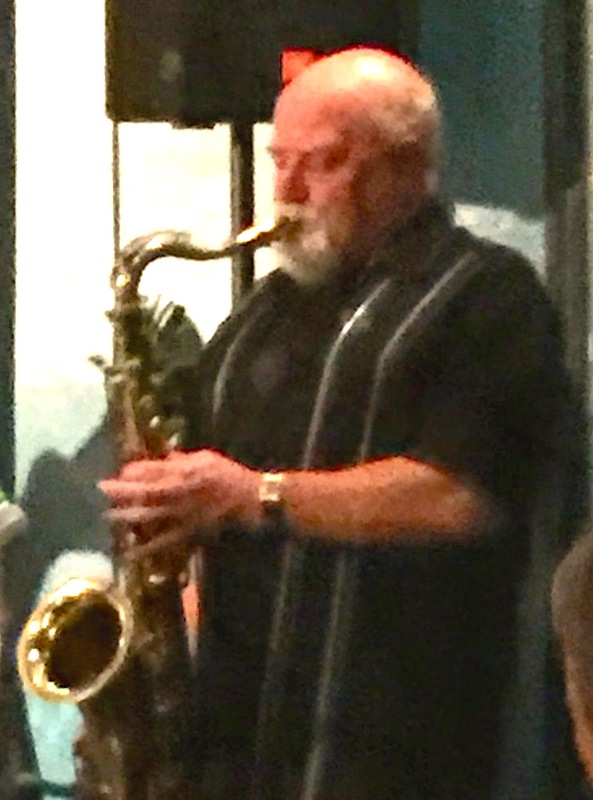 Pat also performs with Dennis Michaels at Nicolino's Italian Restaurant on Wednesdays from 6pm to 9pm. Joining Pat's group is another Sinatra favorite player, Jim DiGuilo. Jim along with Pat always got the call anytime Sinatra was performing in the West including Vegas. Jim is universally recognized as one of the best technically competent bass players performing in the US today. When Pat sings a Sinatra tune, you will heard Jim play the bass line exactly as Sinatra like it! Pat's piano player is Yarek Urant who I know is considerated one of the best Desert. As a result, Yarek is constantly sought out by other groups looking for a Piano or Keyboard player but on Saturday night, Pat has Yarek locked up! Drumming today was Dennis Burke a relatively new musical player from Canada. Dennis is the newest member of this group and fits in perfectly. Maintaining the proper rhythm support but never overshadowing his fellow players. I am not overstating when I say that this quartet is one of the best Jazz group performing today. 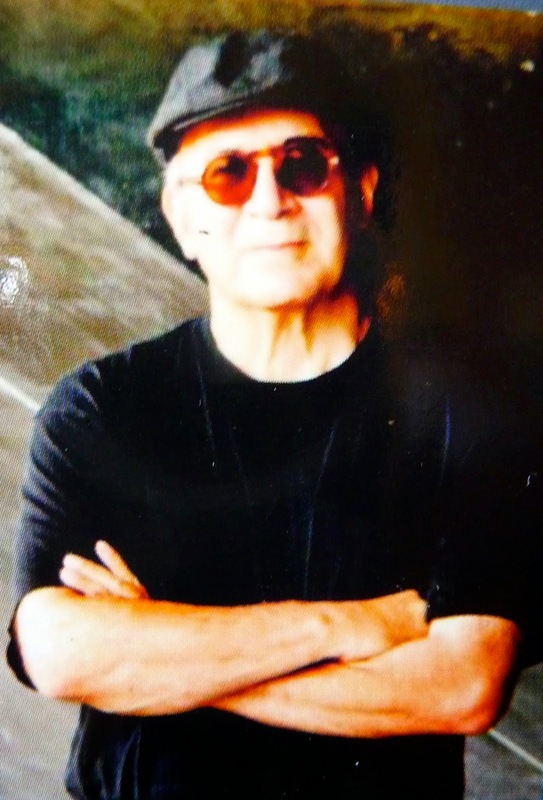 On January 23, 2015 Composer, Arranger and Drummer Jerry Kalaf will release his latest CD, "Welcome to Earth". Usually, when I am reviewing a new CD with original compositions, it requires listening to the CD several times in order to get comfortable with the music. Not so with the music written and arranged by Jerry Kalaf. The songs are constructed in such a pure musical way that I found myself loving the material after my first time through the CD. All the compositions are rich in melody, harmony and rhythm. While they all are new songs, they all have a very comfortable feel. I believe this is because of Jerry's approach to songwriting. "My approach to composing can be termed absolute rather than programmatic. In other words, I usually don't draw from sources outside the music. I don't have a specific subject matter or imagery in mind; rather, I'm concerned with melody, harmony, and rhythm. I often think of the names only after the piece is written." The result of this approach is outstanding world-class songwriting! In addition to writing the 8 tracks on this CD, Jerry has also done a superb job writing the arrangements. The arranging for these songs was no easy task since Jerry decided to use three different bands on this project, two different trios playing 5 songs and a sextet playing 3 songs. When listening to the full CD, the change between the two trios and the sextet seems seamless. Perfect job of mixing and production in my opinion. Jerry Kalaf is a rock solid Drummer and plays on all 8 cuts on the CD. 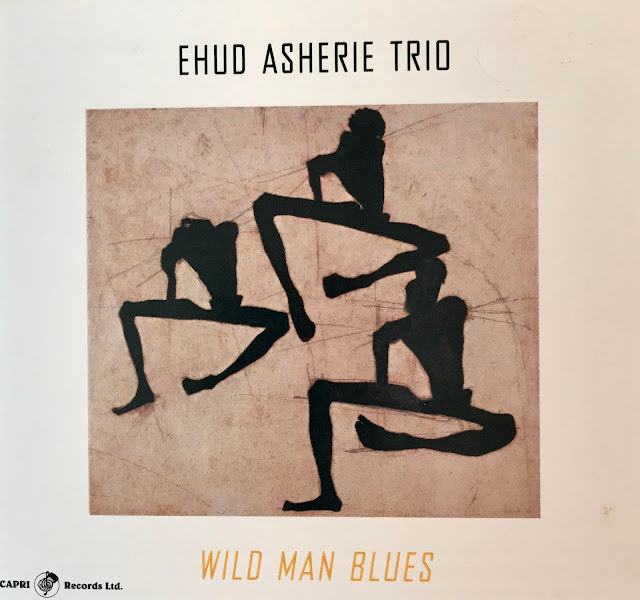 He has assembled a core of excellent-seasoned veterans to record with him and the resultant product is close to being musically perfect as you can get. The title of this CD is "Welcome to Earth" and it has something of a new rebirth feel. The title could have been "Welcome to Spring" because the music has a clean, fresh sound reminding me of Spring. Jerry Kalaf is a terrific Drummer and a fantastic Composer and Arranger. Ron Kalina and Larry Holloway, The Best Get Better! 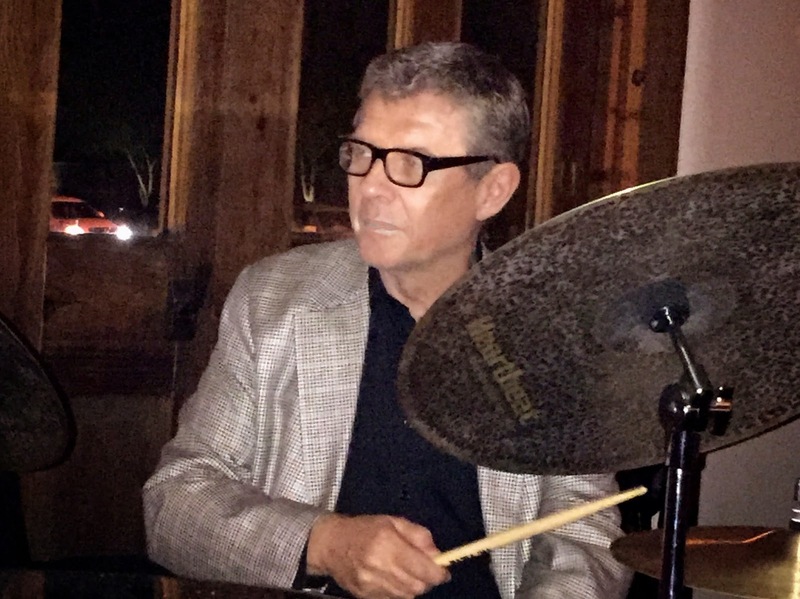 The new "In Place" for Jazz on Monday night is at the Indian Wells Resort Hotel where you will find two of the most talented musicians in the country. Ron Kalina is without question one of the best Harmonica players still performing today, and he might very well be in the top ten best players of all-times. Ron's sweet spot is standards, and he plays them with so much emotion it almost makes the wonderful lyrics unnecessary. Recently Ron had a few health issues in but as a result of some recent medical upgrades is playing with renewed vigor and emotion. I heard him several times last year and the energy lift in his singing and playing this year is producing wonderful music. 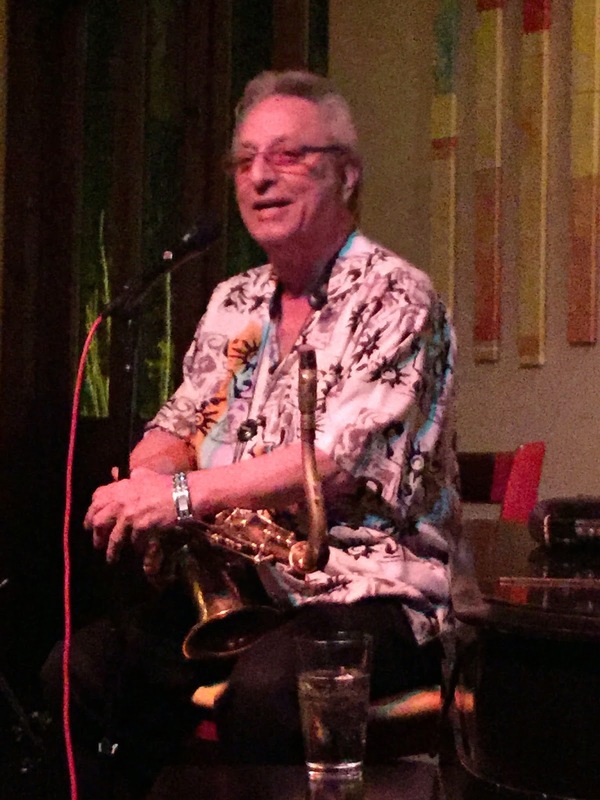 These days Jazz fans seldom get to hear top-grade Harmonica playing but for those lucky people here in the Desert, we get to hear Ron every Monday night! 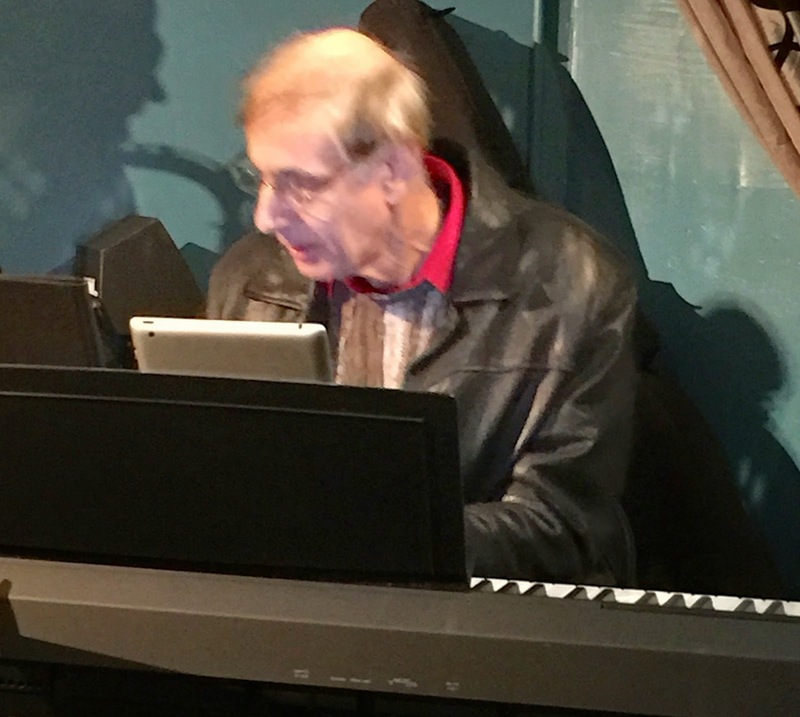 In addition to Ron's wonderful work on the Harmonica, he also plays the Keyboard and handles the Vocals. Ron's voice and phrasing are very much like that of Fred Astaire. His singing of standards not only give the lyric life but present them as if Ron has lived every word of them. Joining forces with Ron is the highly respected Jazz Bass sensation formerly from Seattle, Larry Holloway. Mention Larry's name to any musical pro and you will only get praise and adoration in return. Tonight because Larry was only playing with Ron on Keyboard and it allowed him the opportunity to expand his motivating and articulate solos to the delight of everyone in the audience. The synergy between these two marvelous seasoned pros tonight was delightful. The duo plays from 6:00 until 9:00 on Mondays but it's still not enough time. I could listen to their great sounds all night. An added surprise tonight was the large number of professional musicians who stopped by to sit in with Ron and Larry. The first one to come up and sing was Carolyn Martinez who delighted the crowd with her strong and pure voice. Carolyn's voice and style was perfectly suited to fit between these two pros. Carolyn is singing as good as I have ever heard her. She has her own gig across the street at Vickys every Tuesday with Larry on Bass, and I strongly recommend that you make plans to see her. Next up was everyone's favorite male singer, Ken Steele. Ken has a great voice and his phrasing is just about perfect whenever he sings. Ken is multitalented and also is an excellent songwriter, arranger and producer. Hearing Ken sing is always a treat! I had not seen or heard from Lola Rossi in quite a while and was delighted when she was called up to sing. Lola has a beautiful strong voice and she is a really confident performer. She chose to sing a strong version of "Over the Rainbow" and hit every note of the song in perfect pitch. No small accomplishment. Next up was Denise Motto who sings and plays marvelous Keyboard and was joined by outstanding Trumpet player Gordon Camp and a Drummer from Canada, Don Fraizer , who was in town for just a night. Denise has always been wonderful every time I have seen her and tonight was no exception. I would love to see her performing her gig in the near future. Gordon is always a delight to hear and he is always ready to play anything that is put in front of him. He is a real pro! Don Fraser was impressive with his brush work which provided the perfect foundation for tonight's singers. I wanted to give all my Desert music followers a heads-up about two musical events that I know you will enjoy. 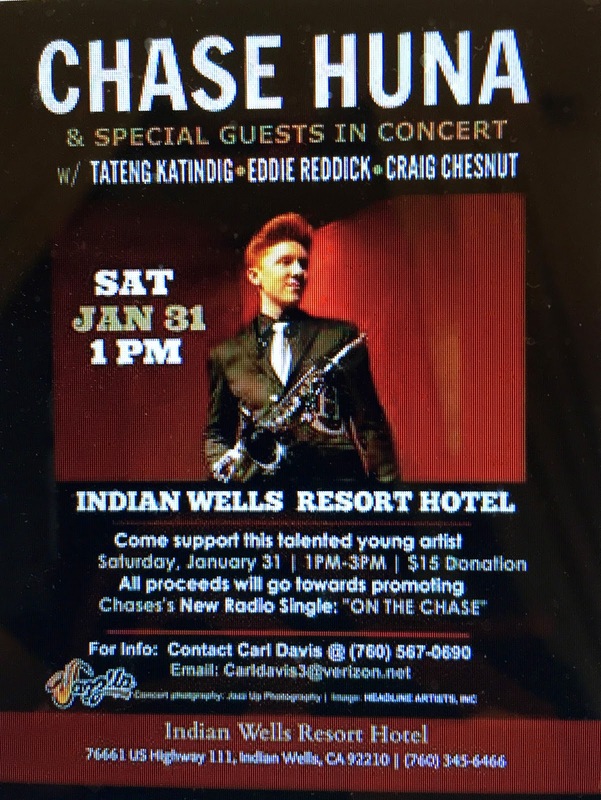 First, on Saturday, January 31 at 1:00pm at the Indian Wells Resort Hotel, Chase Huna is having a fundraiser to get his new song, "On The Chase" to radio. Chase's band will include Eddie Reddick on Bass, Tateng Katindig on Keys and Craig Chestnut on Drums. For more information on this event contact show host Carl Davis at 760-567-0690 or email Carldavis3@verizon.net. The second event includes everyone's favorite performer, Yve Evans who is staring in the musical play, "A Handful of Nickels & Dimes" at the Indio Performing Arts Center in Indio. Yve says the cast of this musical is stellar and the show is fast paced and hilarious. The play opens on February 20 and will run until mid-March. You can get tickets on line at: www.Indioperformingartcenter.org or by calling 760-775-5200. Both Chase and Yve would love to have you support these events. January 18, 2015 will mark the 4th anniversary of Frank DiSalvo's arrival at the Indian Wells Resort Hotel. Let's take a look at what Frank has accomplished over these past 4 years. Before Frank started performing at the Indian Wells Resort Hotel, there was no live entertainment of any kind. When Frank started his gig at the Hotel, he wasn't as well-known as he is today. I first met Frank when he came into Backstreet Bistro one evening when I was there listening to their Tuesday night Jazz series. Frank asked to sit in with the quartet and sing a song or two. He sounded pretty good, but I was most amazed in the amount of confidence he had. After Frank finished singing, he passed out some of his cards listing his gig at the Hotel. I was curious about him and decided to go to the Hotel to hear him sing. The first thing I learned about Frank that night was that he is not just a singer, Frank is an entertainer in every sense of the word. His audiences the first few months were nothing to write home about but that never stopped Frank. Even if there was one person in the audience, Frank would do his 3 hour show with gusto! I've heard that every time Frank opens the door of his refrigerator at home and the inside light goes on, he does 20 minutes of songs. 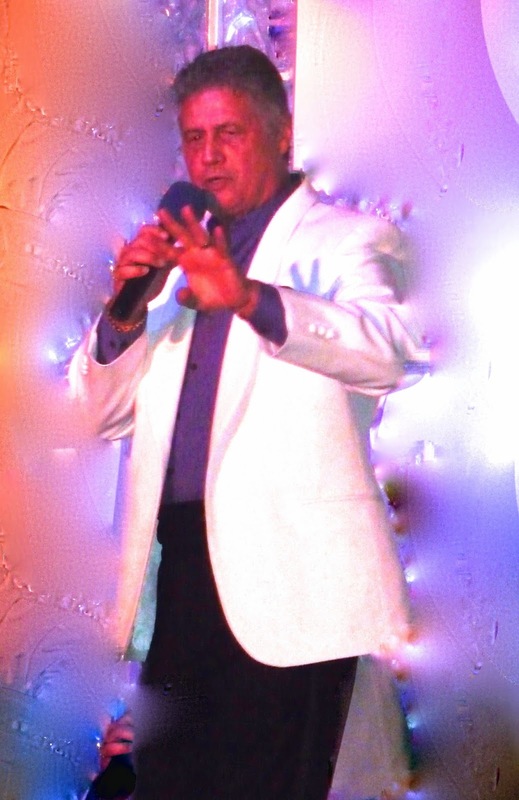 Frank DiSalvo is a wonderful entertainer but more important, he is a sincere and caring person. By the time Frank's first season at the Hotel was over, he was drawing a large and very loyal following. Frank was responsible for his own public relations and he has done an outstanding job. 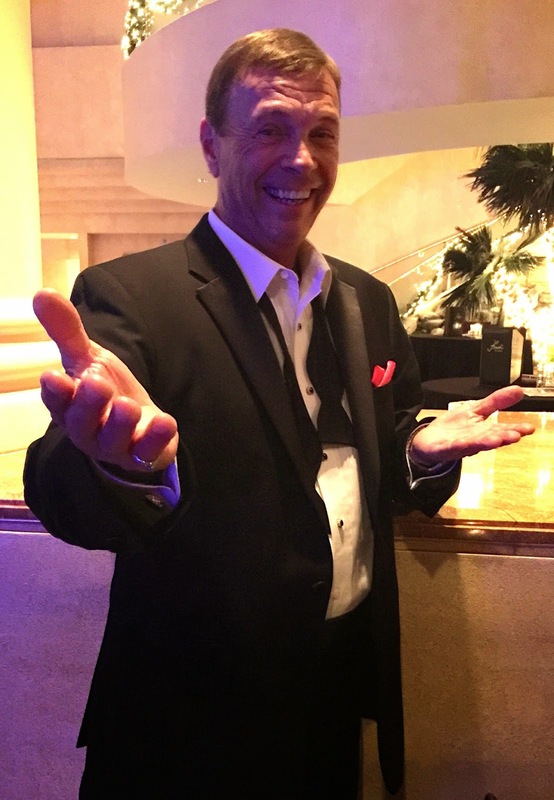 In four short years, Frank DiSalvo has become "The Entertainer of the Desert". Frank quickly expanded his performance from one night to four. But Frank didn't stop here. 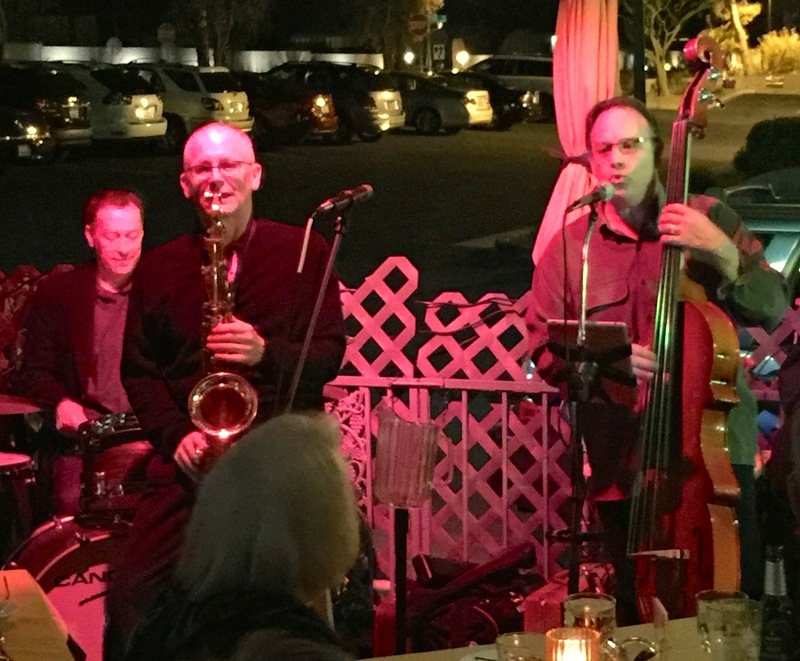 He was personally responsible for booking over 40 musicians into the Hotel, and as a result there is now live music at the Indian Wells Hotel 7 nights per week. Frank is never happy with the status quo and is constantly adding new material to his show. This year's show now includes new songs, new stories and even a new comedy segment. His show is like a musical history course that takes the audience through the songs and performers of the 40's, 50's, 60's, 70's and 80's. Frank takes us from early Sinatra, Martin, Sammy and Nat Cole through Elvis, B.B. King and even Peter, Paul and Mary. Tonight he did songs from The Lettermen and Johnny Cash. Some people who have never seen Frank's show think he is just a Sinatra impersonator. Nothing could be further from reality. 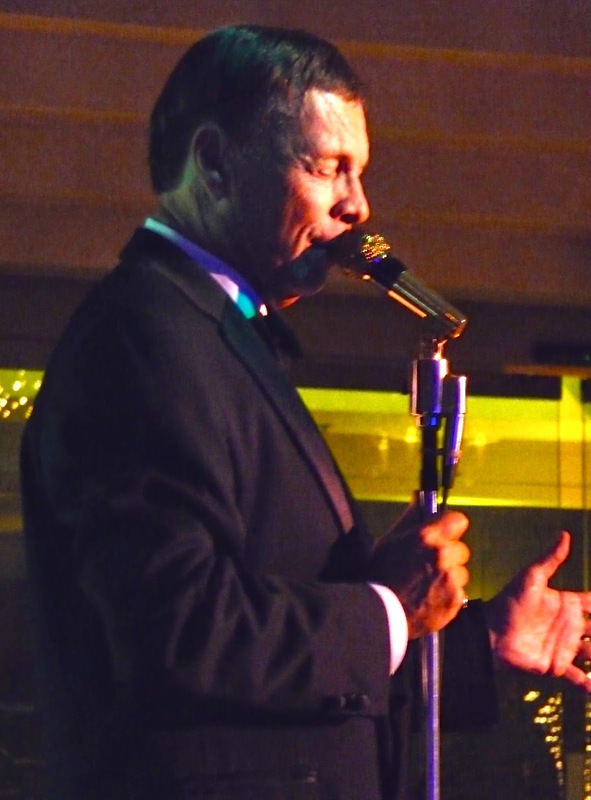 Frank, of course, loves Sinatra as we all do but Frank has a wonderful strong voice that stands on its own. In addition, he is not just a singer, he puts on what might be described as a Las Vegas lounge act doing all the different parts himself. He has worked incredibility hard over the past 4 years to improve his singing and entertaining skills and now is at the top of his game. 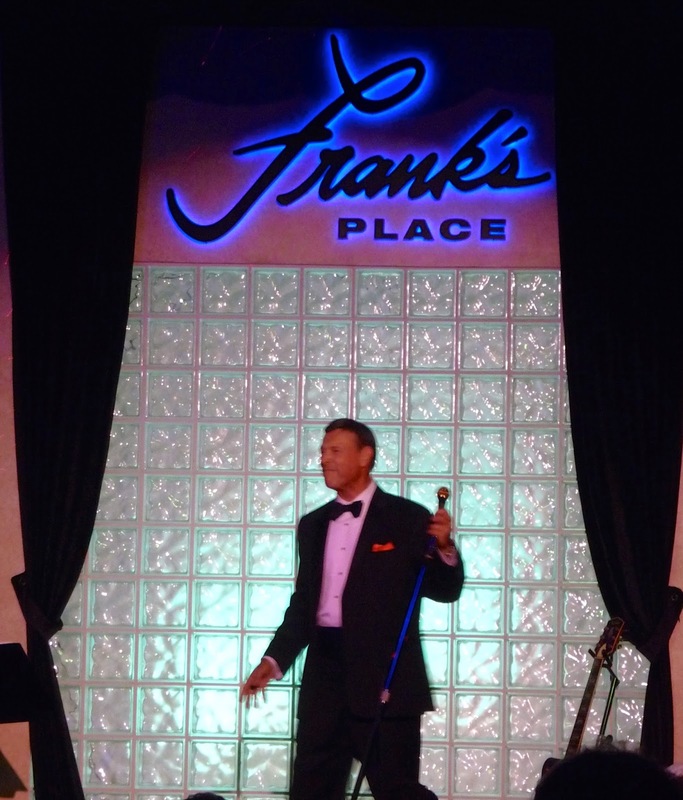 Frank performs every Thursday, Friday and Saturday from 6:00 PM to 9:00 PM. 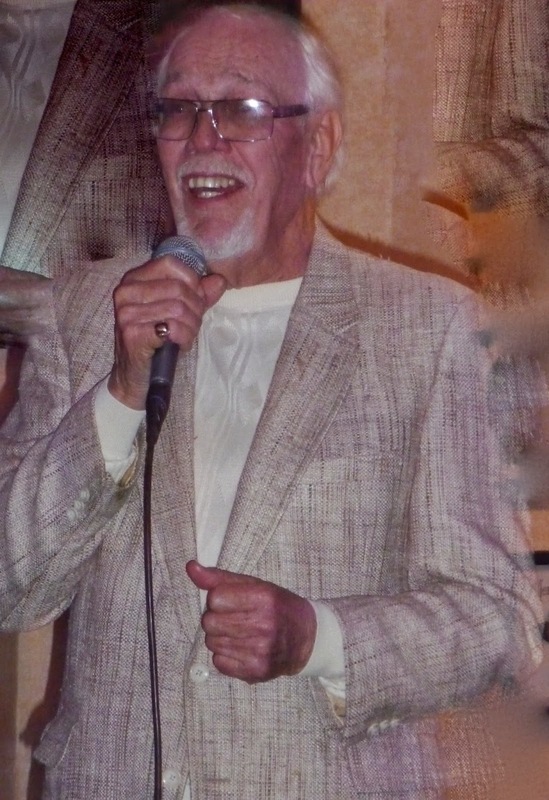 He also sings on Sunday with the Ted Herman Big Band from 6:00 PM to 9:00 PM. Seeing his new show is a must, and you should put it on the top of your "To Do" list and bring your friends and family. Dinner is served during Frank's show, and the food is excellent as is the service. Please call for a reservation as many of Frank's shows are sold out especially on Friday and Saturday. For those who have never seen Frank's show or heard him sing, I have attached a "YouTube" that will give you an idea of what his show is all about. Allegra Levy is a young, but remarkably talented Singer/Songwriter that has just cut her first CD, "Lonely City". The fact that Allegra likes to sing standards is not what makes her unusual but the fact that when she writes her own music, she writes them in the tradition of the "Great American Songbook" is! Her voice and phrasing inspiration comes from her love of Carmen McRae and Betty Rodgers and her writing inspiration come from Richard Rodgers, Jule Styne and Henry Mancini. If a singer/songwriter is looking for inspiration, what better group than this would one pick? According to Allegra, "Their melodies have lasted for so long and are still so beautiful. My goal was to retain that timeless sound with modern lyrics. Bring standards into now". The 24 year-old New York based vocalist and composer has written 11 original songs for her first CD and each one of them expresses her personal life experiences. "These are real experiences that I've had, and I want somebody else to know that they're not alone! Supporting Allegra on this CD is an all-star cast of musicians: Richie Barshay, Drums, Jorge Roeder, Bass, Adam Kolker, Tenor Sax, Steve Cardenas, Guitar, John Bailey, Trumpet, Carmen Staaf, Piano and Mark Feldman, Violin. This CD was produced by Trumpeter/Composer John McNeil. "Lonely City" is an excellent and mature first effort from Allegra Levy and will put the music world on notice that she is a musician that has established herself as a winner and future superstar. I found a "Youtube" of Allegra Levy singing "Lonely City" in a Jazz club. Unfortunately, the quality is less than what I heard on her CD, but I still wanted my readers to get a taste of her sound. 1. "Anxiety" 2. "I Don't Want To Be In Love"
3. "Everything Green" 4. "A New Face"
5. "Why Do I" 6. "A Better Day"
7. "I'm Not Okay" 8. "Clear-Eyed Tango"
9. "Lonely City" 10. " 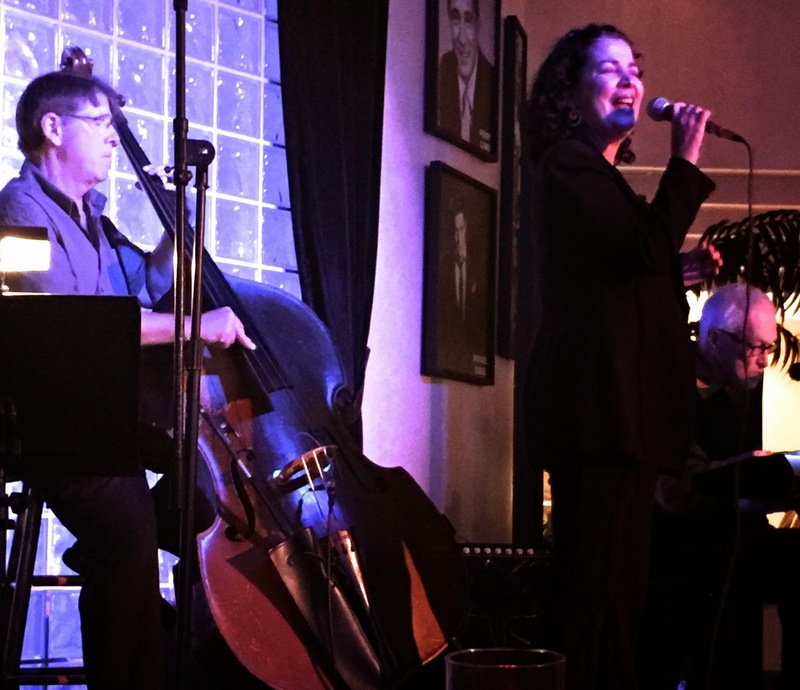 Our Lullaby"
Allegra Levy Sings "Lonely City"
Tuesday night, January 6, 2015 was opening night for Jazz at Backstreet Bistro in Palm Desert, California. 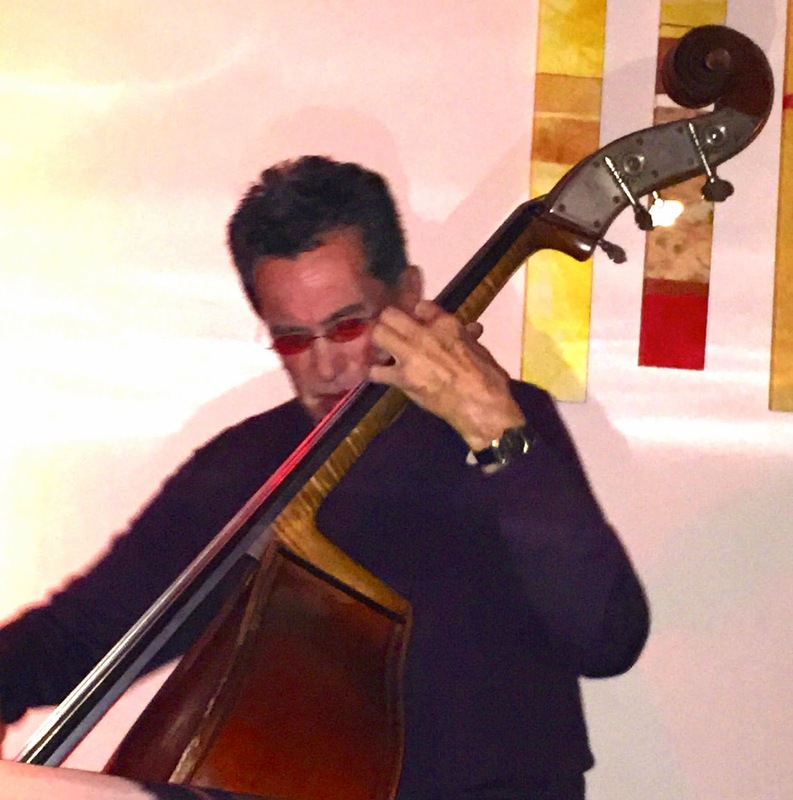 Bill Saitta, the great bassist, singer, arranger creates a different group of outstanding musicians every Tuesday night throughout the winter season. 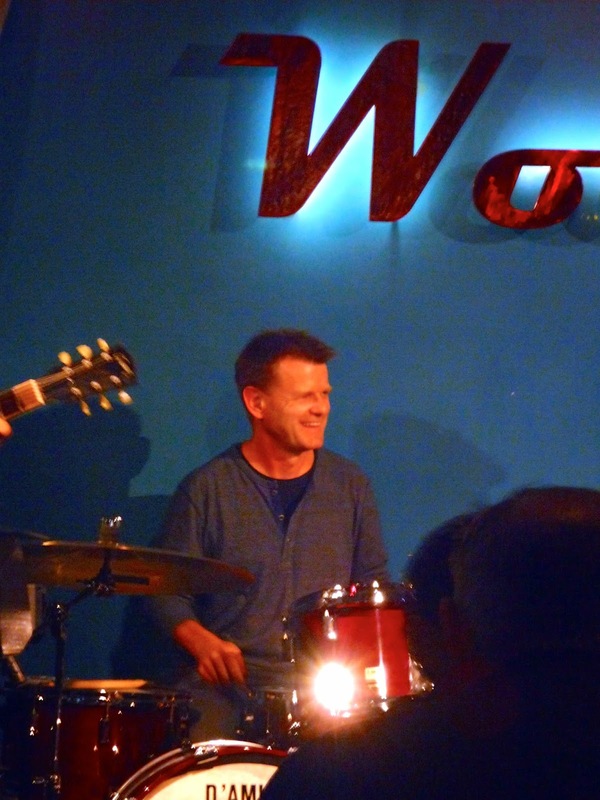 Tonight Bill selected his go-to-Drummer and everyone's favorite, Jay Lewis along with Joe Azarello on Keyboard. The star of tonight's program was Tom Keenlyside who thrilled the group with his solos on Flute and Tenor Sax. 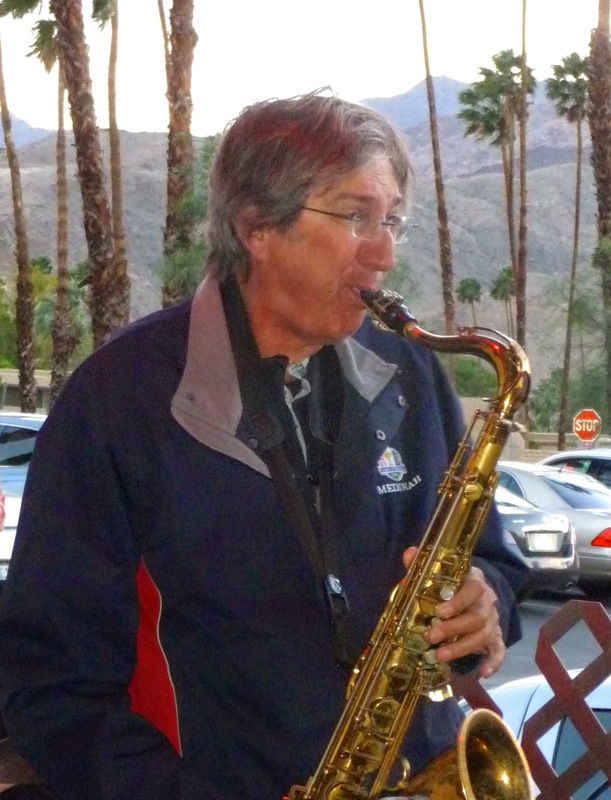 Tom only moved to Palm Desert from Canada a few years ago and has already established his reputation as a sterling Jazz player. Tom is amazing in his ability to improvise, yet, always retains the essence of the melody. Tom can do it all, and he does it all whenever he performs. Tom always plays with excitement, and he transmits his joy of music to his audience. He also lifts his fellow players to higher levels because of his outstanding musical skills. Tom never plays safe, he always pushes himself to higher levels of performance. He is loved by his audience! I had not heard Bill Saitta play Bass for over 8 months but tonight he continued to prove he is a student of the Bass and his music. Every year he seems to improve the level of his playing and this night proved that he has taken his musical game to an even higher level. Bill's approach to music including Jazz is far from casualty. He continues to be a student of music and takes nothing for granted. His solos tonight were thoughtful and perfectively constructed. It's no wonder that Bill is one of the most sought after Bassists in California! Jay Lewis as usual was sparkling on Drums tonight. Jay is at the top of the list of skilled Drummers playing in Southern California and for good reasons. Jay never tries to over-shadow any members of the groups he plays with. He is supportive, and yet can hold his own with any Drummer when it is his time to solo. Besides his musical talents, Jay is a really good person and loved by all. group perfectly and has a very unique playing style especially on his solos. Seems Joe believes that the structure of his playing is much more important than just playing a lot of background notes. He was well received by the enthusiastic Backstreet audience. 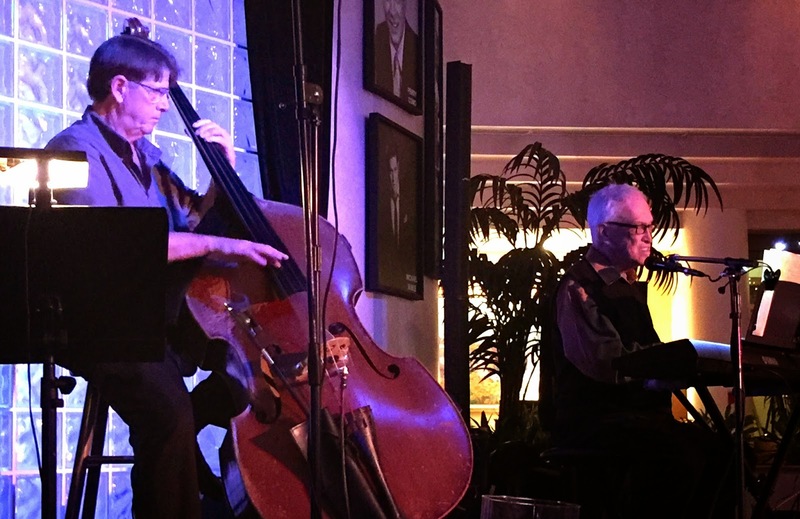 Tonight was a wonderful start to the season, and I recommend that you put Tuesday night Jazz at Backstreet Bistro on your "To Do" list. 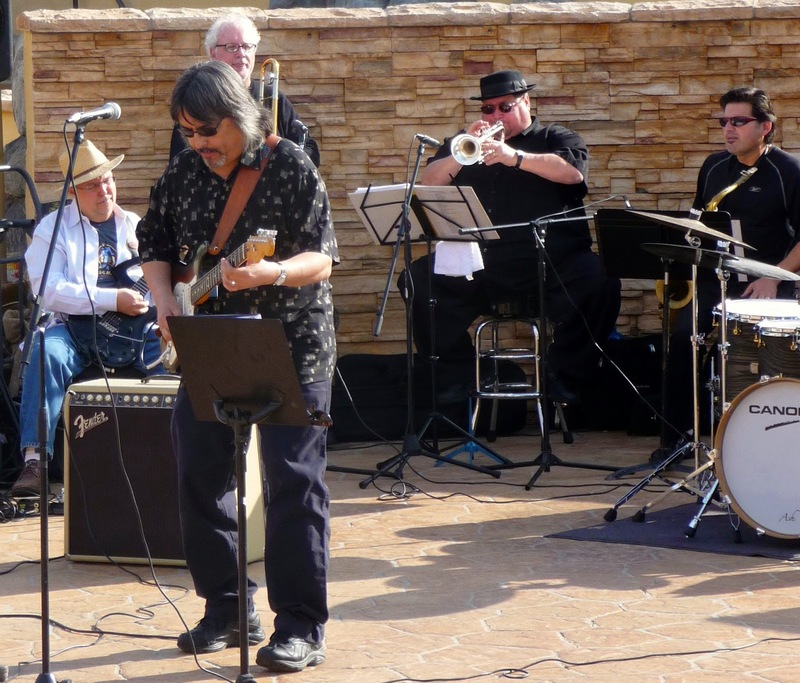 On Sunday, January 4, 2015, a group of some of the most talented musicians in the West came together at "The River" Mall in Rancho Mirage to perform in support of "Desert Friends of the Developmentally Disabled". This non-profit group provides low-cost dental care to everyone with developmental disabilities, as well as senior citizens and veterans in the Coachella Valley and throughout Riverside and San Bernardino Counties. I find it interesting that these world-class musicians, who, are never paid the full value of their talents are always the first ones to offer their musical talents to help worthy charities all across the USA. We all owe these musicians our admiration and support for the music they give us and their efforts to make our world a better place to live! The performers today included a long list of A-list musicians put together by the tireless efforts of Chris Gore, singer, arranger, writer and all-around good guy who spent weeks putting this concert together. 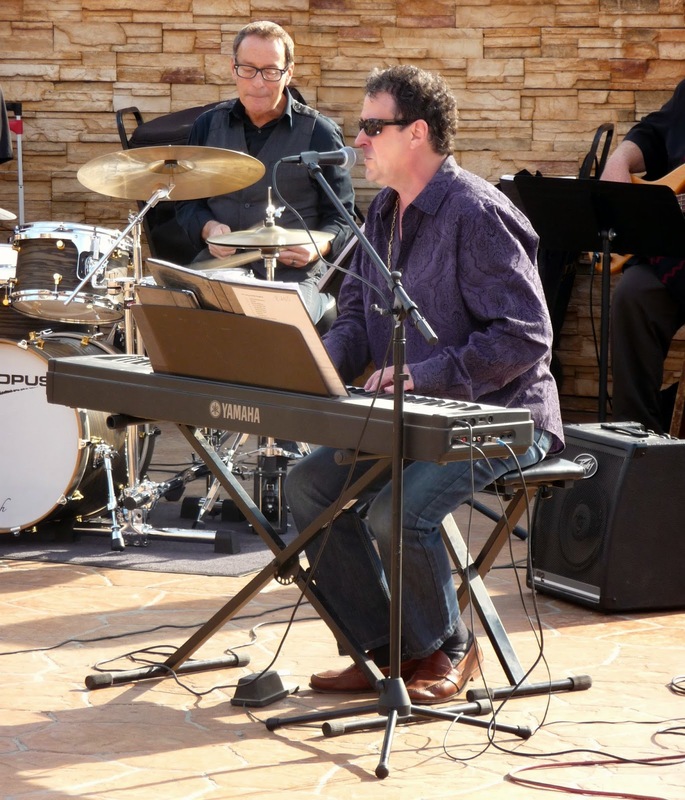 Chris is the leader of the talented "Jackson Garrett Band" that performs at various functions in the Coachella Valley. He not only plays keyboard but sings, arranges and writes new material for the band. The reason why Chris is able to get all these great musicians to perform is because they know he a dedicated, committed individual and will do whatever it takes to get the job done. 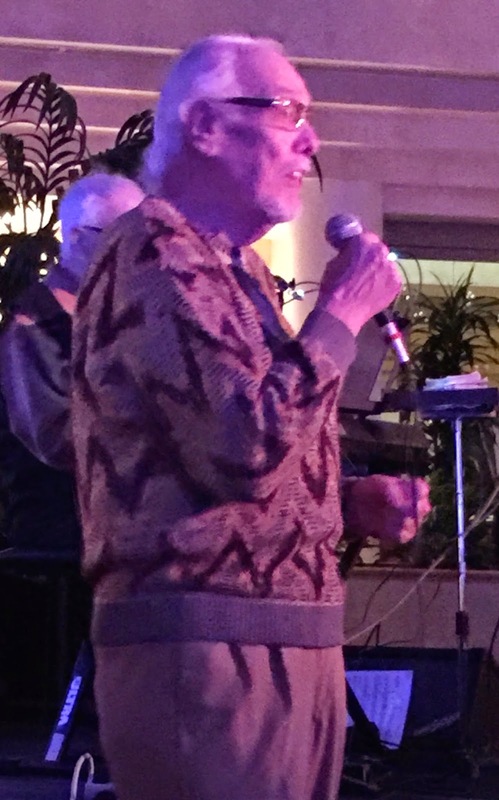 Today's performers included the lovely and golden voiced Beverly Jensen, John Pagels on Guitar, velvet throated singer Ken Steele, Shelley Yoelin on Tenor Sax, Singer and Valley weatherman, Patrick Evans, singer Michael D'Angelo, Chris Gore singing and playing Keyboard, desert-favorite singer Darci Daniels-Murphy and Mark Guerrero singing and playing Guitar. This group performed brilliantly but the closing performer, Mike Costley brought the house down with a world-class performance that electrified the audience. Mike has not been performing over the past year or so and his performance today reminded everyone of his singing and performance greatness. Today Mike Costley owned the stage! Mike sang, danced and talked to the audience gathered at "The River" with a perfection few performers ever get to experience. It was simply a delight to hear Mike performing again. We all hope that Mike decides to perform again on a regular basis! The Jackson Garrett Band today consisted of John Leys on Trombone, John Pagels on Guitar, Don Clark on Trumpet, Steve Alaniz on Tenor Sax, David Ring on Keyboard, Jay Lewis on Drums and the great bassist, Jeff Stover on Bass Guitar.